When folks think about the headquarters of successful companies, New York, the Bay Area and Silicon Valley come to mind. But we are here to tell you there is a lot of greatness going on right in your backyard! Join us this September to celebrate the success of companies founded right here in The Research Triangle Park. Hear about how it all began, why they chose this region, and what lies ahead in the future. Big or small, they had to start somewhere ... and we are glad they chose to do it here! 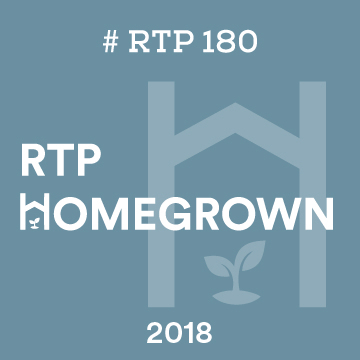 The hashtag for this event is #RTP180. Get social with us by tagging @theRTP and @RTPFrontier!